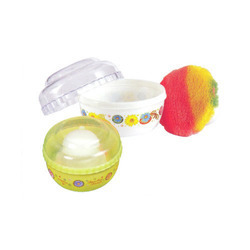 We are a trusted name engaged in manufacturing and supplying Royal Powder Puff. These offered puffs are manufactured by making use of supreme quality soft fabric, procured from the accredited vendors of the industry. Furthermore, we have made the offered products in different sizes, shapes and attractive colors so as to meet divergent demands of the clients. Our valued clients can the offered products in customized forms as per their requirement.